Throughout history, ornamental and decorative sheet metal has been a popular way to add interest and appeal to important buildings. From 18th century churches to today’s modern hospitals, schools and government buildings, sheet metal fabrication has become a widely-used method of adding aesthetic appeal to significant structures. Sheet metal ornamentation is durable and beautiful, making it the ideal choice for unique architectural features. We can use any number of sheet metal materials for your project, depending on your exact requirements. 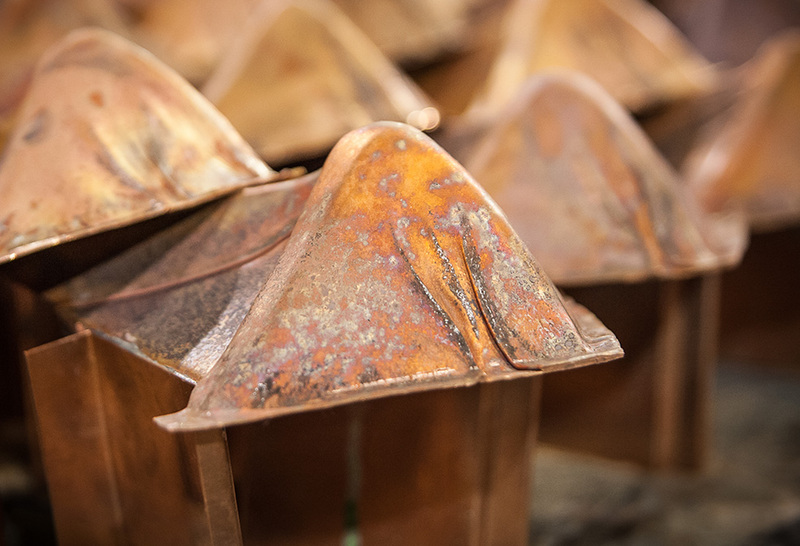 Our team frequently uses historical sheet metal copper for historic restorations of churches and government facilities, while modern works often make use of stainless steel, aluminum and zinc. Whichever type of decorative sheet metal you select, Heather & Little can create a beautiful sheet metal fabrication that lasts. 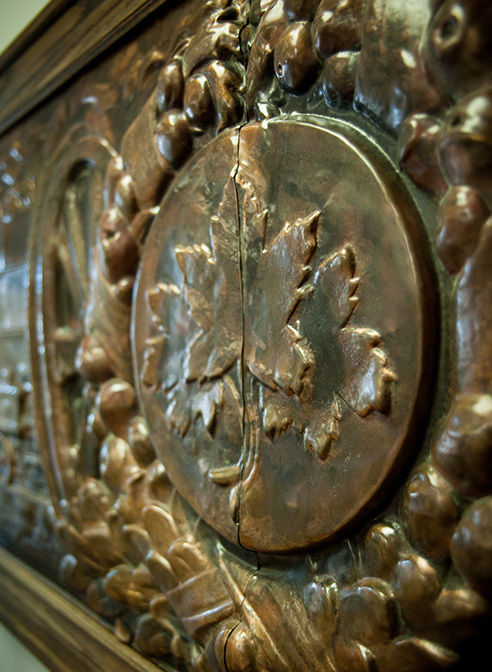 If you are searching for a team who can create historically accurate decorative sheet metal elements, look no further than Heather & Little. You can rely on our artisans to handcraft your sheet metal ornaments to the highest standards. Contact Heather & Little today to speak with us about your upcoming project, or browse our gallery to see examples of the fine restoration and fabrication work we’ve completed in the past. Replication of pressed ornamental copper stampings, decorative sheet metal elements for the dome, lantern, and “Flame of Knowledge” finial. 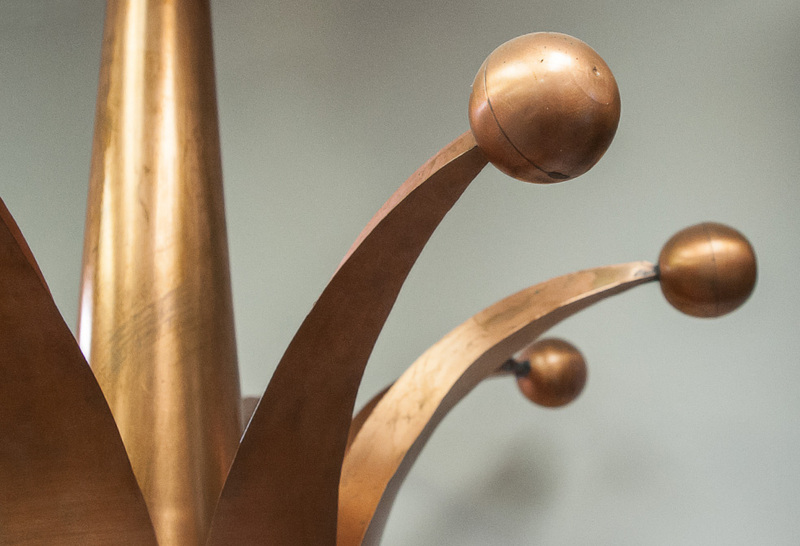 Using new sheet metal copper and a combination of traditional techniques, our craftsmen carefully reproduced the ornamental features for the copper dome. Cornice bands, copper shells, copper antifixes, copper capitals, copper cresting. 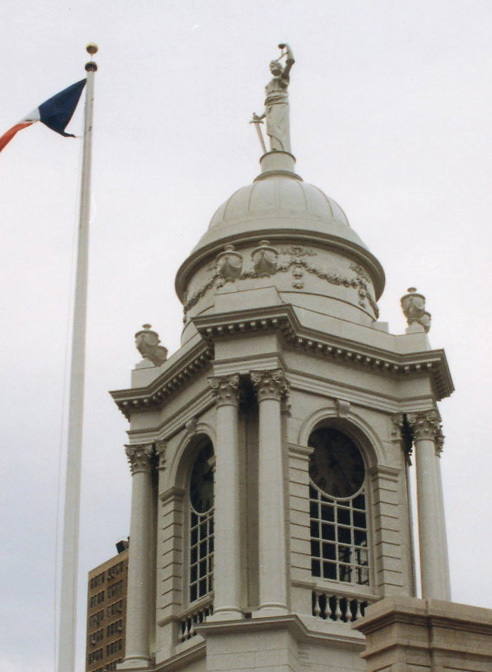 This Manhattan penthouse apartment, this dome and cupola restoration included pressed cornice, copper dormer ornaments, copper shields, copper capitals, stamped copper elements, sheet metal garlands, copper wreaths ornaments. 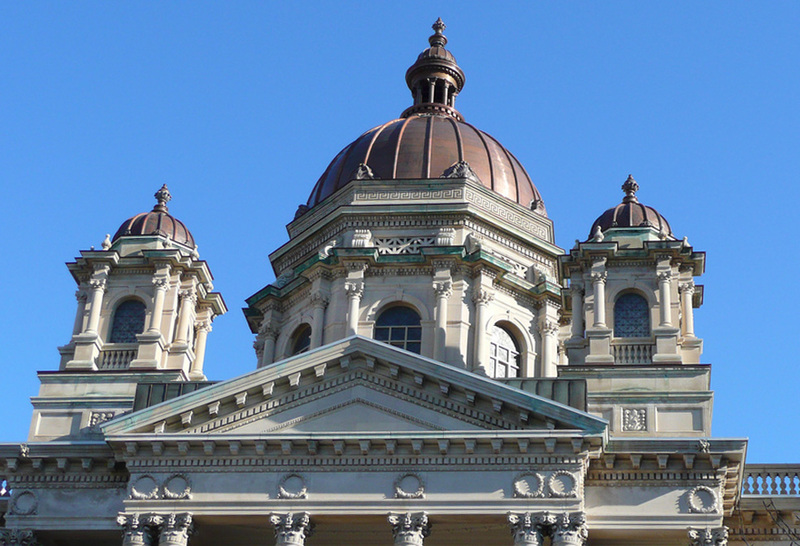 Once completed all the copper work was painted with the exception of the copper dormers and copper dome roofing. 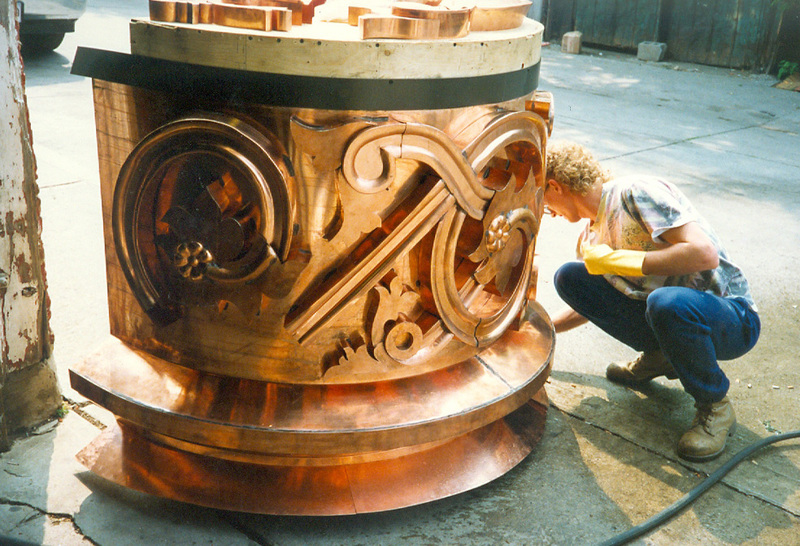 H&L fabricated and supplied decorative finishing elements for the copper mansard roof and bell tower included 20, 24- and 32-ounce sheet copper. 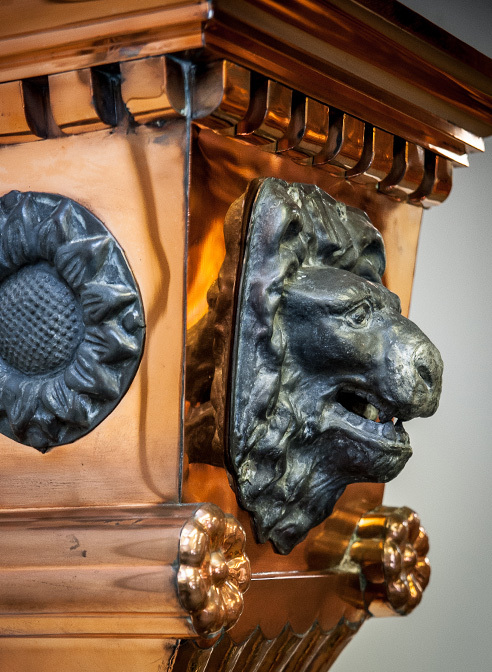 Our team reproduced other decorative roof features including roof finials, copper urns, and copper balustrades. Each of these pieces was carefully replicated using the original copper elements from the building. A drawing of the medallion was produced by architects from old black and white photos of the 1907 building. 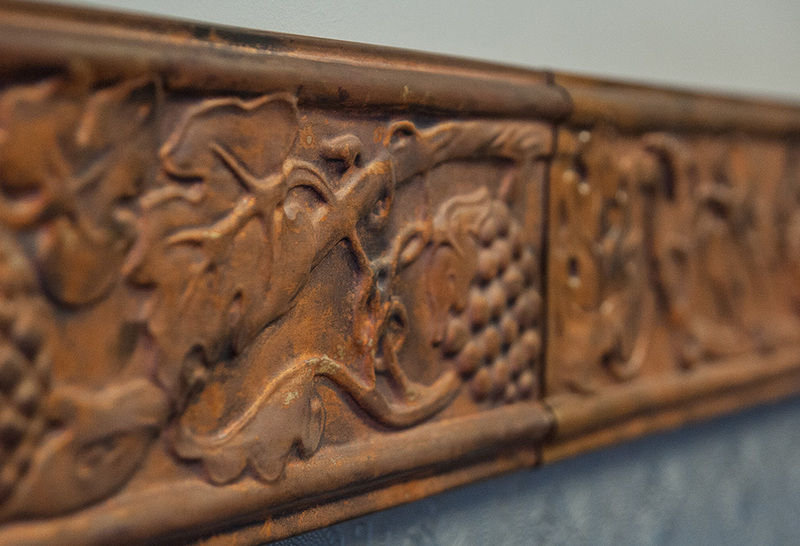 The 20-ounce sheet metal copper medallion was hand-sculpted using different elements for the die casting and pressing for the copper. It is approximately nine feet tall; and painted before mounting on the building's exterior corner.